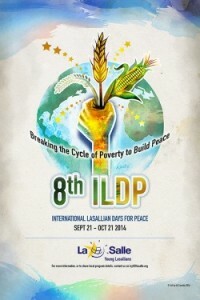 The 2014 International Lasallian Days for Peace (ILDP) will begin on September 21 (the United Nations’ sanctioned International Day of Peace) and run through October 21. The theme for this 8th annual event is Breaking the Cycle of Poverty to Build Peace and is an initiative of the International Council of Young Lasallians (ICYL). Following the outcomes of the 3rd International Symposium of Young Lasallians (ISYL), this year’s ILDP focuses on the movement to eradicate poverty, particularly as it affects access to nutrition and survival. Lasallians are encouraged to participate by engaging in and learning about issues related to fair trade, ethical retail practices, food consumption practices and issues of hunger in communities. Emphasis for this theme comes from Pope Francis’ appeal to support the Caritas Internationalis #Food4All Campaign, calling those who are able to take action on this issue and study how the promotion of peace and the cycles of poverty are related. A poster has been created and is available to download in English, French, Spanish and Italian. A prayer book from Catholic Relief Services has been identified as having daily prayers with relevant themes and is a suggest resource. The District of San Francisco New Orleans also released a letter inviting ministries in the District to participate and focus on the topic of immigration, specifically that of migrant mothers and children and unaccompanied minors. “We feel that our District’s close proximity to the US-Mexico border compels us to see this ‘sign of the times’ and focus the ILDP on this issue,” reads the letter. Young Lasallians in the District plan to provide ministries with resources and hold a District-wide fundraising initiative for ministries to participate. The Regional Young Lasallians Committee (RYLC) will promote ILDP on social media, including Facebook and Twitter. You can get involved in the online effort using these hashtags: #ILDP2014 #onelasalle #peace. 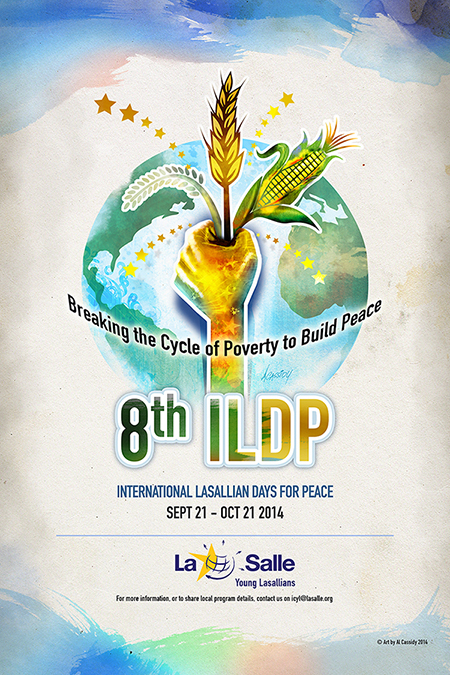 Tell us about your efforts to support ILDP by emailing communications@lasallian.info!